Digitally remastered and containing rare previously unreleased bonus material. 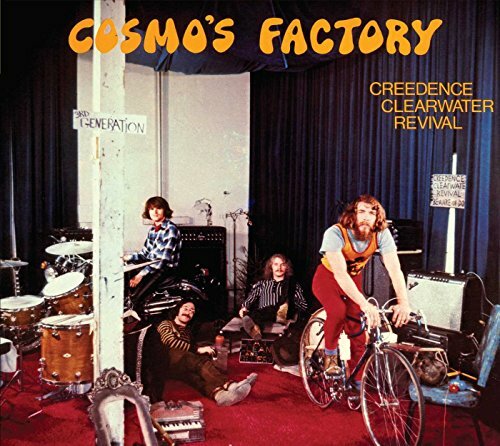 Cosmo's Factory is the fifth album by American band Creedence Clearwater Revival, released in 1970. The peak of a prolific streak, Cosmo's Factory was Creedence's fifth album in less than two years. It was a major commercial success, reaching #1 on the Billboard Pop Albums chart, and spawning three top-5 singles; "Lookin' Out My Back Door" (US #2), "Travelin' Band" (US #2), and "Up Around the Bend" (US #4) were all big hits. The year 2008 marks the 40th anniversary of Creedence Clearwater Revival. The album is packaged in a beautiful digi-pak, faithfully recreating the original album packages in meticulous detail and the CD reissue contains expanded liner notes.